Restoring a classic automobile can be an arduous task, and an expensive at that. Before you begin, there are several considerations. Cost is the most important. We realize there are many folks out there who have an unlimited budget and can restore a real fixer-upper to pristine condition and not blink an eye. But to the rest of us, there are limits to our budget. Do your proper due diligence. Take the time to go over each stage of the restoration to allot the proper budget for each portion, (body, engine, interior, etc…). Time is also a major consideration. Assuming you are restoring it yourself, you have to sit down and go over each aspect of the renovation and determine how long each stage will take. Then determine if you have sufficient time in your personal life to accomplish this task within a reasonable time frame. Once you have established a time frame, aallow for a little extra time. Little things always pop up to slow you down. You will also want to determine to what condition you are going to restore it? Is this just a pet project that you want to tinker with, or are you going to take it to shows or competitions? Obviously, the finer the condition you are going to restore your vehicle, the more you need to budget for it. Likewise, the poorer condition the car is to begin with, the more you will need to spend to restore it. The most important part of restoring a car is the engine and all the mechanical work. After all, If you can’t drive it, it will never be worth much. So concentrate on the frame and engine components first. Then, the next stage will be body and then interior. You will need to determine if you are doing a complete restoration, where you restore all the components with original parts, or keeping some components of the vintage vehicle. Once again, your budget will dictate how far you go. Hopefully, you have a garage that allows you the room to accomplish this task in a comfortable way. Many customers who come to us often will send us pictures of their garage with all of their toys and equipment. Some are truly impressive, all decked out with the best equipment, like Automotive Lifts, tire changers, air compressors and floor jacks. But the truth is, you don’t need to be rich to enjoy your hobby. There are plenty of folks out there at different levels enjoying their favorite craft with renewed vigor and appreciation for the beauty of a classic car. Customer love when we post their pictures up on our web site. They frequently send us pictures of their garages that they set up. 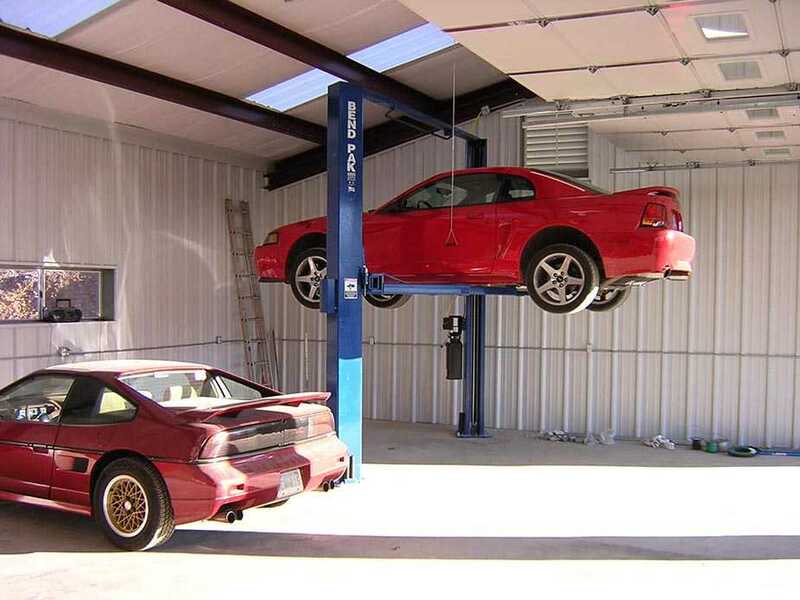 And the most popular products they send us pictures of is their automotive lifts. One recent customer to send us his pictures was Robert Manwaring. He purchased a BendPak XPR-10ACX Two Post Lift. This is their 10,000 lb. asymmetric clearfloor lift. It’s got all the latest features and the quality that BendPak is known for. The importance of exchanging your transmission fluid should not be underestimated. Most transmission failures are attributed to the transmission fluid wear and breakdown. It is not just a lubricant, it also provides the hydraulic pressure necessary to change the gears and change torque inside the torque converter. Many modern transmission fluids are long life fluids that are rated to last 100,000 miles or more. Different vehicle manufacturers require different fluids. It is important that you use the manufacturer specified fluid. Using the wrong fluid, tough driving conditions, or just lack of maintenance can cause premature failure of the transmission. Technicians and service managers need to explain this to their customers so they understand the importance of this service. 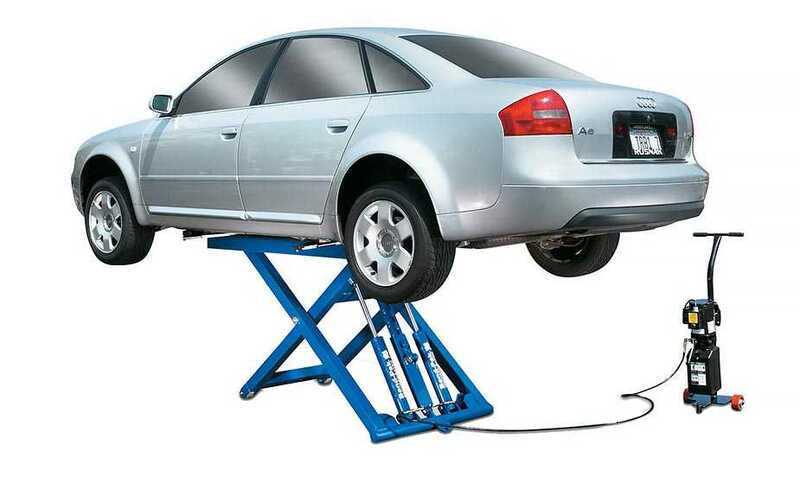 When their vehicle is up on the Automotive Lift, make sure to inform them of the importance of this valuable service. Some manufacturers even offer literature that can help make the case. Offering transmission fluid exchange service as part of your arsenal as a full service auto shop can be a lucrative endeavor. In the not too distant past, power door locks were only found in luxury cars. As technology advanced and made these products more affordable, more and more manufacturers began including them in their mid priced and lower priced vehicles. Now, there are power locks not only on doors, but hatchbacks, liftgates, trunks and even liftgate glass on SUV’s. As always, when advancements in technology adds a new product or feature to make life easier, it also means that there’s just one more thing that can go wrong. And this means more profits for auto shop owners and dealerships. Any electromechanical part has potential for a wide range of problems. When troubleshooting these parts to determine the cause of the problem, you should check several things first, including starting with attempting to open the door with the key first. Sometimes we overlook the simplest things. Make sure the battery is providing current to the device. Check the switch, and then the linkage. Check wiring and any connections. Sometimes is something as simple as a loose connection or corrosion due to moisture. Also check the actuator. Once you’ve established the problem, don’t rest on your laurels. You still should check to other components to correct any potential future problems down the road. When you do your repairs, it’s best to use OEM parts to avoid any issues. Customers expect that when they bring their car into your establishment, you are competent enough to get the Job done right the first time. They don’t like seeing their car up on an Auto Lift for the same service twice in one week. In these tough economic times, It can sometimes be difficult to look through all the negative news you hear on the TV each evening. The unemployment rate has remained over 9% the entire year. Many car dealerships have closed down due to the auto manufacturers consolidating. They’ve closed up shop and sold off all of their Automotive Lifts and tire changers. The housing market still shows no signs of life. But however bleak things may seem, Americans are optimists at heart. We’ve gone through worse before. And every time we’ve come through stronger than before. We have plenty to be thankful for. So we ask this simple request of you. After your belly is full of turkey this Thanksgiving day, and you’re done visiting with your family and friends, take a moment to thank someone who helped make it all possible. Please consider sharing your blessings with someone who has made great sacrifices for their country. We’ve been supporting Homes For Our Troops for many years now, and we ask you to do the same. Homes for our Troops is a very worthy charity that builds specially adapted homes for disabled veterans returning from duty. They are one of the best ranked charities when it comes to dollars going directly to the cause. Just click on the link below to see what they are all about and perhaps make a donation. We can’t think of a better way to give thanks. This is part two of a two part series. In part one, we went over several options available for two post lifts. We’ll be going over a few more in this post. Air Hose Reels. Many technicians mount one right to one of the columns, so they can have it right there at the work station. 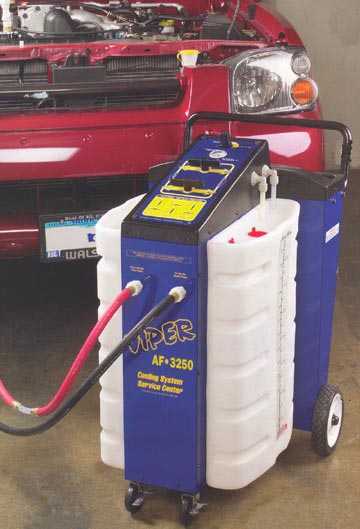 A spring rewind air hose reel to power your air tools is a desired feature for convenience. Available in 33 foot and 50 foot lengths. Air Electric Work Station. This is a handy accessory that is growing in popularity. It’s a box that you mount to one of the columns that has GFCI protected electrical outlets built into it. 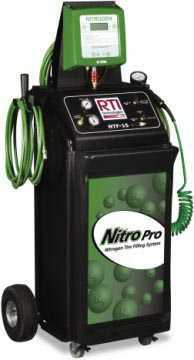 It also has a filter / lubricator / regulator for your air lines, along with hooks to hang your air hose lines on. Height Extensions. BendPak offers these to increase the height of the columns, so that the extra tall vehicles don’t trip the shut-off bar up above prematurely, before you reach maximum lifting height. Most vehicles won’t trip the shut off bar, but some taller Trucks and vans will. The height extensions add two feet of height to your columns, so you have 16 feet of height. More than enough for those taller vehicles. These accessories are popular additions to round off your arsenal in the auto shop. Your Auto Lift can be a well rounded work station when you have the right equipment and accessories. This is part one of a two part series. Many customers who purchase one of our two post lifts typically ask what optional accessories they should get. All of our two post lifts come with truck adapters and mounting hardware. Basically, everything you need except for hydraulic oil. They don’t include hydraulic oil due to Hazmat shipping concerns. There are some very popular accessories that people to purchase for use with their new Automotive Lift. See below for some of the more popular items. Frame cradle pad adapters. The pads that come with the lift are the standard square steel pads with a rubber slip-on pad over it. For those customers who want a pad that will actually grab onto the car, and prevent a rounded surface, like an axle, from slipping off, this is the option for you. They have a rubber pad in the base. Screw Pad Adapters. The adapters that come with the BendPak and Dannmar two post lifts come in 3 inch increments. Usually, for most customers and most situations, this level of adjust-ability is sufficient. However there are situations, and some customers that call for more precision. For those customers who want to have infinite adjust-ability, the screw pad adapters are for you. 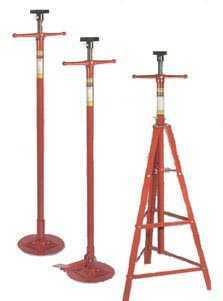 Tall Jack Stands. Some people call them pole jacks or screw jacks. whatever you call them, they are one accessory you should not be without when you are under a two post lift. They are used for both stabilization and safety. They have an adjustable screw mechanism to adjust the height. Some have a foot pedal for hands free adjustments. You can get a 1600 lb capacity with a single pole and a round base, or you can get a tripod stand with a 4500 lb. capacity. We recommend at least two. In a perfect world, for would always be used. Oil Drains. There is probably not a more popular accessory for a two post lift than an oil drain. Who wants to hold a bucket over their head when they’re changing oil? Nobody. Oil drains are vital in an auto shop. And there’s a huge selection to choose from. Starting with the 8 gallon oil drains. Just a reservoir on wheels, with a long neck, and a funnel on top. Then you can move on up to larger sizes with additional features, like hand pumps to evacuate them, or connections for your air lines so you can drain them with air pressure. Then, there are even models with dip stick probes, so that you can drain the car’s oil through the dipstick tube. No need to pull the drain plug. Part two will address some more valuable accessories. One handy trade publication we highly recommend is Old Cars Weekly magazine. We like it so much, we frequently advertise in it. They post articles catering to classic car enthusiasts who want tips on modifying their favorite vintage ride, and other related subjects. They also put out frequent Price Guide Issues. These issues are dedicated to placing a value on most of the favorites, and even the obscure collector cars. They even have an assessment guide in the beginning of the price guide issue that informs you how to evaluate and determine the condition or grade of the vehicle. The premium condition would be EXCELLENT. A car in excellent condition is in the finest possible restored condition. In a show, it would receive 95 points or more. These are the best cars that usually win top awards. FINE – Cars in Fine condition will show minimal wear. They have been restored to a superior condition and may even appear to be as good as a car in excellent condition at first glance, but once inspected further, you will see some minor flaws. Usually, these vehicles will have low miles. VERY GOOD – An original model that is completely operational or a restored model that shows some wear. May be a car that an amateur has obviously spent considerable time on caring for. May need some more work to become complete. This is what the experts might call a “20 footer”. Meaning that it looks good from 20 feet away, but once you get closer, you may notice wear from polishing over the years, and overall appearance is just not as sharp as it once was. RESTORABLE – Body needs to be completely restored. Same for the interior and chassis. It needs most everything to restore it. But it’s not degraded to the point that it is only good for parts. Typically, it’s not operable. This is a serious project that requires a lot of TLC. You need a lot of free time if you want to tackle this project. PARTS CAR – Usually not a running car. It is wrecked, weathered, or just worn to the point that it’s only purpose is to salvage it for parts. Probably rusty and of little or no value to anybody but a person looking to put it up on an Automotive Lift to scavenge for parts. Consumer Reports recently ran an article illustrating the importance of using the proper fluids in your vehicle. One surprising note from the article – Filling your windshield washer fluid reservoir with water is a breeding ground for the bacteria that causes Legionnaires disease. Who knew? So now, it’s not just a dirty windshield you have to worry about. Believe it or not, some folks actually put antifreeze in their windshield wiper fluid reservoir, and windshield fluid in their radiator. Granted, these are amateur mistakes to be sure, but there are some other mistakes that more seasoned car owners may make. Some weekend gearheads may think nothing of using a slightly different weight motor oil than is recommended by the manufacturer. This could be a significant mistake. If the manufacturer says use SAE30, use it. Some folks think using the premium, High Octane gas will improve performance. But once again, follow the manufacturer’s recommendations. If they say use Regular 87 Octane, use it. Batteries are frequently sealed these days, but for those that are not, some techs may be tempted to use plain old tap water. But this would be a mistake that can cause premature death of the battery. Use only distilled water. Use only the recommended transmission fluid. Using the wrong fluid can cause wear, or overheating of the transmission. And as everybody knows, replacing your transmission is an expensive undertaking. Follow these rules, and you can avoid a costly venture where you find you favorite vehicle up on an Automotive Lift with an expensive repair bill. You are currently browsing the Car Lift Blog blog archives for November, 2010.